OCV Test Equipment for Prismatic Battery-Shenzhen HYNN Technologies Co., Ltd.
HYNN OCV tester can automatically test for the open circuit voltage, AC internal resistance and shell cover insulation (the voltage between the positive electrode and shell) of the single cell in the battery tray. OCV testing is the essential process of battery manufacturing. Combining battery testing with battery tray for batch testing or single testing, it can reach to fast and reliable testing results. 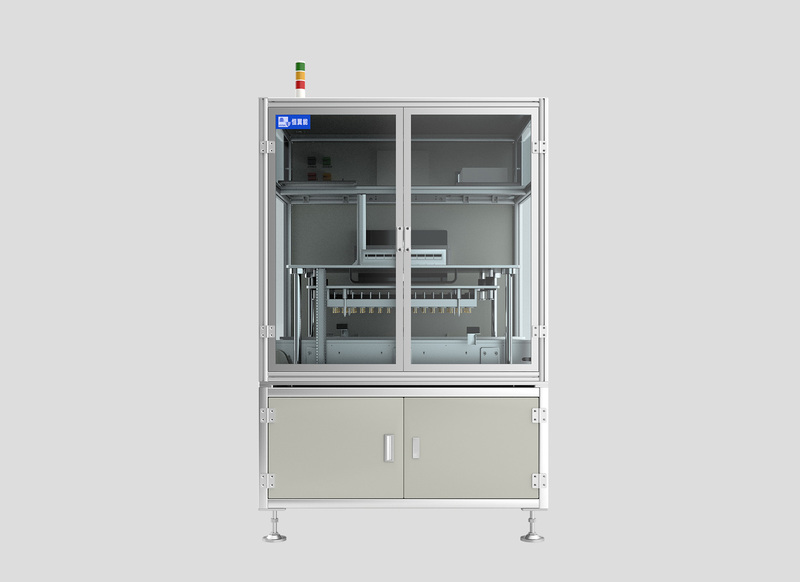 The production management and control system automatically calculates the K value according to the test data, and automatically completes the binding of the production data information, automatic saving and binding information. Data can be export through internet connection. 1. The equipment can be made on demand flexibly matched outside the output line or bridged inside the output line. 2. Embedded design is applied to the man-machine interface. The display height and operation platform are designed in accordance with the requirement of ergonomics. 3. High precision testing instrument is employed, which ensures a high precision as well as a stable and reliable performance. 4. OCV test device, with the independent research and development of intellectual property rights, can be seamlessly connected with automatic logistics equipment and process equipment in the last and nest procedures, which guarantees a high precision as well as a stable and reliable performance. 1. The internal resistance and open circuit voltage are tested independently with respective instruments. 34461A 6.5-bit meter is employed for voltage test, which ensures a high precision as well as a stable performance, while HIOKI 3562 meter is used for the internal resistance test, with the test resolution as high as 0.0001mΩ. 2. The probe cables of the battery test, intertwined with magnetic separation paper, are connected to the test instrument after being sheathed with stainless steel sealing trough, to avoid magnetic interference in the OCV test result. 3. The OCV auto-zero calibration function: The automatic zero fixture allows the cycle self-defining to achieve automatic zero calibration of the instrument of the open circuit voltage and AC internal resistance acquisition, which can substantially lower the impact of system test on the production and guarantee the trace of testing precision. The data will be automatically uploaded and kept in the management control system after the test. 4. It has the functions of testing the charged battery shell, picking out and removing bad OCV non-performing quantity. Equipment capacity reaches 20ppm.